A big thank you to anyone who took my survey yesterday! (If you haven't already, you still can right here!!) 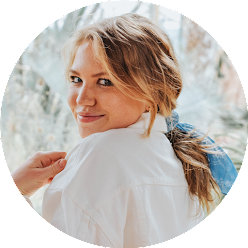 An overwhelming amount of you mentioned you love seeing lifestyle posts and having me share more personal posts on the blog, so today I'm going to do just that. Hopefully if these type of posts continue to go well I can try to get one up about once a week! This kind of content definitely isn't the easiest to share, but it's the kind of thing that makes me feel so much better after I hit publish and vent a little bit. With the holidays coming up, something I rarely focus on is how I actually spend my holidays, and more specifically, who I spend them with! I've mentioned that my parents are divorced, and it might be obvious at times when I chat about vacation recaps with my mom or recaps with my dad, but I really don't go into too much detail. This year for Thanksgiving I am going to Dallas to spend the holiday with my dad at his new house (he moved to Dallas about a month ago from Rhode Island), so that means Christmas will be with my mom! For Christmas we will be heading to St. Louis to my grandparents house like we did for Thanksgiving last year to see my mom's side of the family. Last year it was the opposite, and same thing goes for spring break... it's all a rotation. Remember to call // I can't remember if it was my sophomore or junior year, but the first Christmas I had without my mom was such a shock to my system and incredibly difficult for me. Not seeing my mom on what was supposed to be the happiest day of the year was really hard. I was in Boston and I remember waking up at my cousin's house and not even wanting to go downstairs and see everyone because my mom wasn't there. I called her crying and it made me feel so much better being reminded that she missed me too and was thinking about me even when she was not physically in the same place! Letting your other parent know you're thinking of them and hearing them tell you they love you makes you feel so much better and so much more excited to celebrate. Celebrate twice or do something else fun! // Last year for Christmas we went to Boston again with my dad's family, so my mom, brother, and I exchanged gifts before we left for our trip. Having a mini-Christmas with my mom was really nice, and also celebrating by throwing a cookie exchange together was such a fun event. My mom and I celebrated all season long with the cookie exchange and decorating, so by the time Christmas Day came around, I was excited to spend it with my dad. 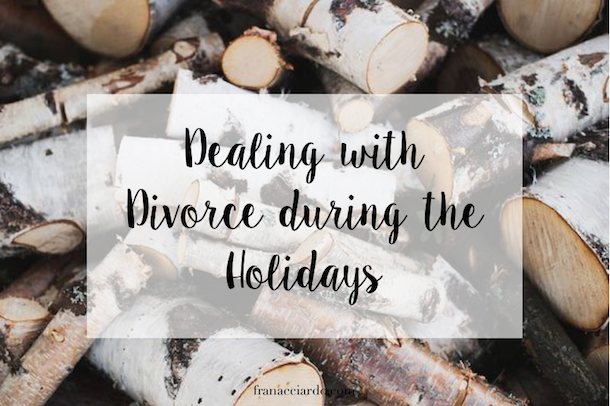 Do you have any tips for celebrating the holidays with divorced parents? As the season gets closer I'm sure I will think of more things to add to this and I can write a sequel if you'd be interested!! These are great tips and I'm so glad you wrote a post like this. I celebrate Christmas with my mom, and I celebrate the day after with my dad, so I get two Christmases in one and I get to celebrate with both of my parents.